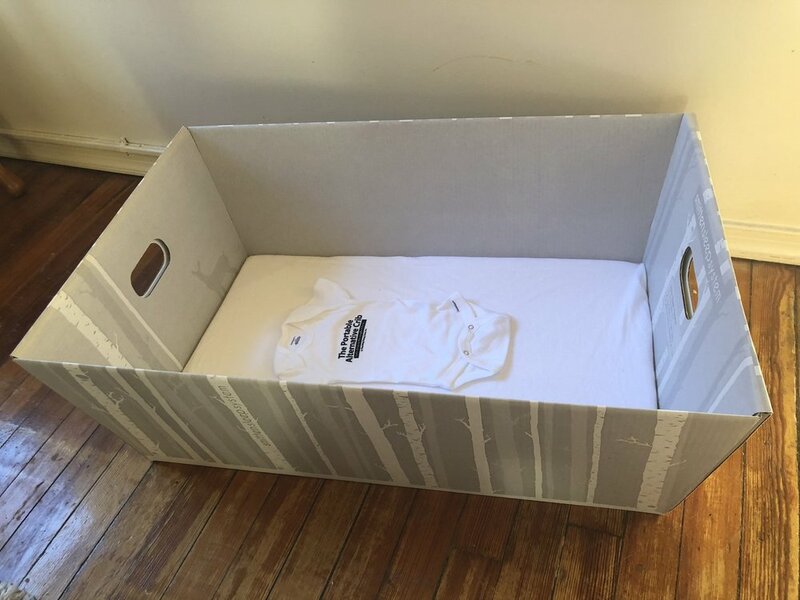 A P.A.C consists of a box with a padded mattress and fitted sheet. It also comes with a onesie, sleep sack, a pack of diapers, a pack of wipes, a pacifier, and education materials. For $50, you can buy one P.A.C shipped to you, and we will give one to a family in need.